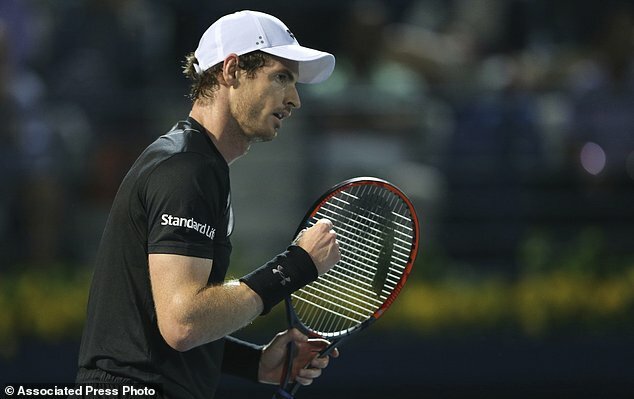 Andy Murray saved seven match points before beating Philipp Kohlschreiber 6-7 (4), 7-6 (18), 6-1 to reach the Dubai Tennis Championships semifinals on Thursday. He finally bagged the second set tiebreak on his eighth set point to level the match. Murray defeats Kohlschreiber 6-7 (4-7) 7-6 (20-18) 6-1. Brilliant victor after brilliant victor came from the racket of Kohlschreiber, yet Murray did enough to keep himself in the match right up until the crucial second set tie break. Kohlschreiber fought well in the third set, but was unable to sustain the quality of shot that had almost got him his first career win over a World No. 1, as Murray fought off an early break point and eventually wore down the 33 year old. The 29-year-old broke early in the second and seemed to be cruising, but Kohlschreiber, who was scoring consistently with his forehand, had other ideas and broke back as the Scot served for the set. Verdasco served for the match at 5-4 in the second set but had his serve broken at love. But Murray showed the resilience that carried him to the top of the tennis rankings last November as he inflicted a heartbreaking loss on Kohlschreiber. The tiebreak was so long that over the course of its 31 minutes, both the players and the chair umpire forgot to switch sides at 15-all, with Murray later remembering and the switch taking place at 16-all. Spain's Verdasco will play his second semi-final of the season on Friday, facing Dutchman Robin Haase, a 6-2, 4-6, 6-4 victor over Bosnian Damir Dzumhur. In the end Murray was able to capitalise on Kohlschreiber's wastefulness to level. Murray really wanted to win and to keep fighting for the title: 'They can be very important matches to get through, ones like that.